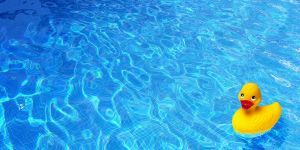 It was 8.30 in the morning under a cloudless California sky, when I waded into the shallow end at the Ojai Valley Athletic Club swimming pool, determined to try every exercise class offered, at least once. This one was called Aqua Abstravaganza, which I hoped would supplement lap swimming. Warm water pooled around my waist as I greeted those who’d already arrived, noticing their hats, eye glasses and tee-shirts worn to ward off the coming of another sultry day. A woman with flowing grey hair smiled in my direction, introducing herself. The others followed, offering kindness and extended hands. Being greeted with such gracious acceptance is part of what I love about coming to this club. It’s an extension of the grace, beauty and specialness that is Ojai. Unfortunately, I forgot their names minutes after being introduced, my aging memory as short as my eyelash. A young woman from a dark-skinned, dark-haired country told me this was her second class. “I’ve come back because I love the teacher’s humor,” she confides, her cinnamon eyes catching rays of light from the water. She radiates health and youth, her long hair carefully braided and tucked out of the way. She’s attentive and eager for the class to begin. This group has obviously been together a long time, as a kind of social club. A birdlike woman peering beneath the twilled rim of a khaki hat pays no attention, preferring to visit with her friend instead. Obviously an urgent conversation, much more important than the matter of moving about in water. A series of jumping jacks propelled me near another huddled couple. At 9 o’clock, (yes, I was counting the minutes) the instructor suggested we venture into the deep end. Frankly, I was completely surprised anyone noticed the request. But move they did, like a great water-bound pod of visiting couples. At this point the exotic beauty with the braided hair leapt from the pool, grabbed her towel, a splashed copy of the New York Times and darted toward the changing room, clearly late for something. The men were in the deep end doing just as much talking as the women. “Are you having trouble with this kick, Bob?” The instructor asked. “Bob? Karen, such a wonderful story! Glad to see you back! Always enjoy being able to share your life through your very special way with words! Much love, my friend!